(Hong Kong, 20 March 2018) – As Hong Kong’s iconic Nordic restaurant, FINDS strives to celebrate the best of the North with like-minded parties to promote gastronomy and culture from this beautiful part of the world. In this upcoming collaboration, FINDS joins forces with MATCH SHOWROOM, a Hong Kong-based design and fashion platform, to promote sustainability and Nordic lifestyles year-round. The debut project features FINDS and Isak, a renowned boutique Swedish homeware brand led by award-winning graphic designer, Sandra Isaksson. 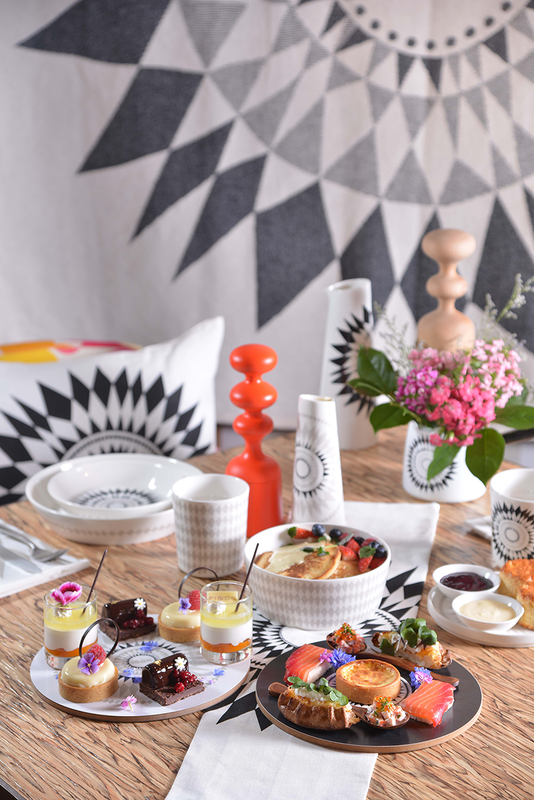 Together with FINDS Executive Chef, Jaakko Sorsa, they have created the Midnight Sun Afternoon Tea Set, a culinary experience filled with five essential Nordic elements that everybody will shout out: Så mysigt! 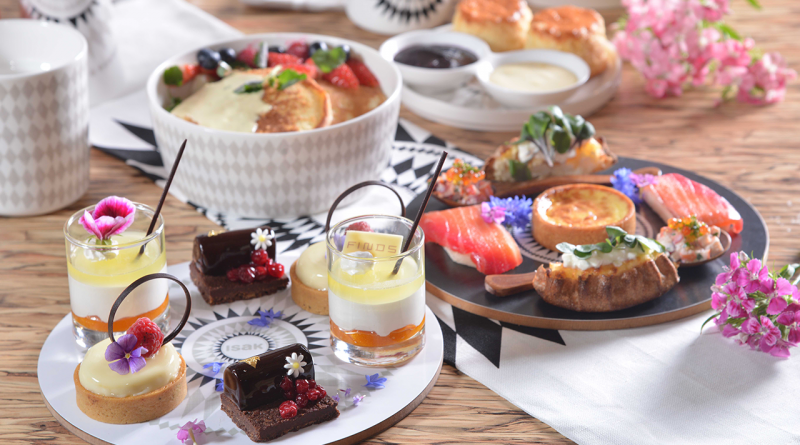 The afternoon tea set featuring the Midnattssol teaware collection from Isak (*HK$ 356 for two guests) will be available from 21 March. Inspired by the dramatic landscape under the #midnight sun, the Midnattssol teaware collection features an abstract, geometrically striking image of the sun in simple black, white and grey to express the stark contrast and peacefulness of this natural phenomenon, as well as the greatest admiration for the sun by people of the North. # Midnight sun is a natural phenomenon that occurs in the summer months in places north of the Arctic Circle, where the sun remains visible at the midnight local time. 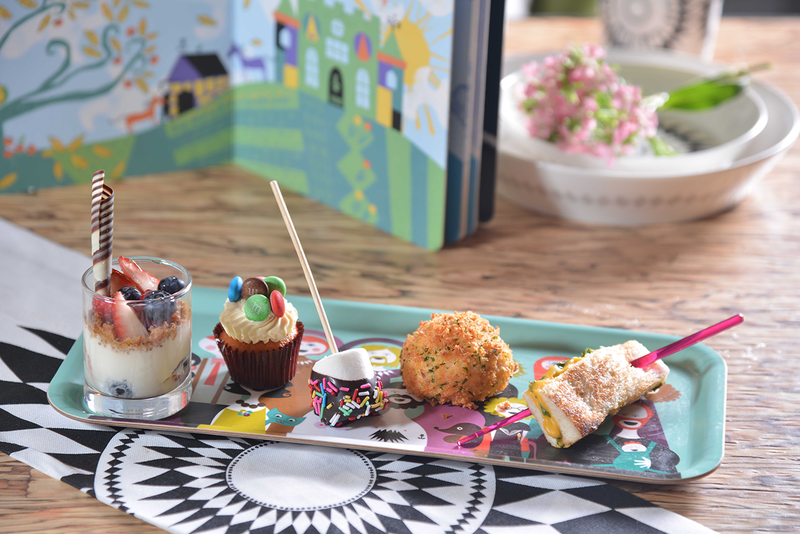 As a family-friendly restaurant, FINDS has also prepared a Kid’s Set for the little ones with an M&M Cupcake, Chocolate Marshmallows, a Crispy Salmon Ball, a Mini Grilled Cheese Sandwich and a Yoghurt, Berry and Granola Cup, served with juice and priced at *HK$98 per set. 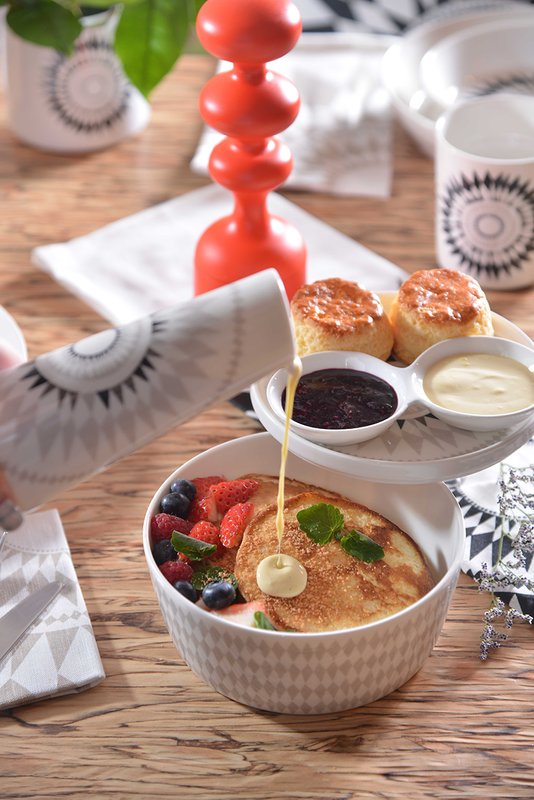 For fans of elite food styling and elegant design, Chef Jaakko and Sandra will lead a series of three food styling workshops that provide professional tips on how to craft your party, your brunch and food for your kids. The workshop series is priced at *HK$350 and will be held on 21 April, 12 May and 9 June. Sandra’s passion for design gives her a fascinating perspective on food styling, and her love for culinary experiences can be seen in her food and travel blog, Isak’s Table, where she shares her life’s journey as it relates to food. Together with Chef Jaakko, this dynamic duo will provide great tips on food presentation, tablescapes and photography in this vibrant workshop series. 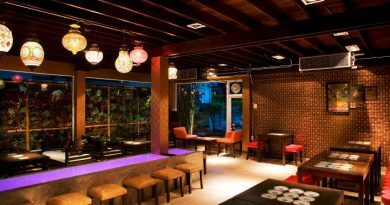 Stay tune on FINDS facebok page for more information. Midnight Sun Afternoon Tea Set will be served from Monday-Friday from 3pm to 5:30pm and Saturday-Sunday from 3:30pm to 5:30pm. 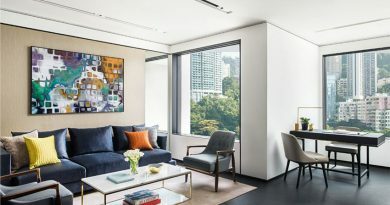 To extend the mysigt atmosphere at home, simply visit https://blank-select.com/ and enter the promotion code “ISAKXFINDS” to enjoy a 15% exclusive discount on selected products (local orders only).